Mental Health and Our Changing Climate: Impacts, Implications, and Guidance is a guide from Blessed Tomorrow that chronicles the impacts of climate change on American’s health and psychological well-being. It is intended to further inform and empower health and medical professionals, community leaders, and the public. To download the guide or watch the webinar click here. 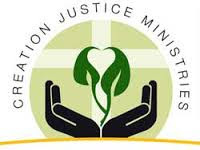 Creation Justice Ministries has created a resource page for making your home and church less toxic. It offers ideas for individuals to make changes on a personal level and ideas for youth groups and congregations to make changes in their church. To read the entire document, click here. New Community Project’s Sustainable Living Centers are located in Harrisonburg, Virginia, and Starksboro, Vermont. They are meant to put the groups principles into practice by teaching energy efficiency, eco-building principles, and sustainable transportation to visitors and workers. They also use these buildings to work on their Undoing Global Warming Campaign. To read more on the work that is done at these living centers, click here.